Chinara Rustamova, from the FSB (Federation of Small Businesses) on how levy businesses could start a transfer conversation. As the year draws to an end, business leaders will be thinking of the coming 12 months. Research shows that one of the top months for recruitment is February, as organisations plan their staffing strategies. This year, levy-paying businesses might also be considering how best to spend their apprenticeship service funds to support either their own organisation or other employers by making a transfer. Earlier this year government announced that from next April employers would be able to transfer up to 25% of their annual apprenticeship service funds – an increase from the current 10%. 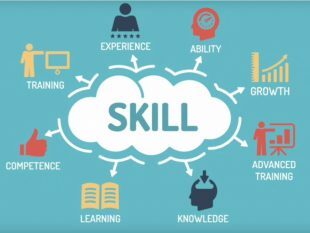 Transferred funds can be used to pay for the training and assessment cost of apprenticeship standards. The new allowance will help businesses to flex in response to external needs. Any employer can receive a transfer whether they pay the levy or not. This means employers of all sizes can benefit – levy payers can support an apprenticeship in another organisation, regardless of size, while smaller employers can work with a larger employer to receive transferred funds. Levy-payers can decide if they want to support their own supply chain, sector, region or even a chosen charity. The choice is theirs. The new allowance has received a warm welcome from many organisations which support employers. Chinara Rustamova, from the FSB (Federation of Small Businesses), recommended that levy-payers could start thinking now on how their levy could be used by small businesses to help them, either within the supply chain or through other links. “In general, small businesses are interested in transfers – but many are still not aware of how to do it. 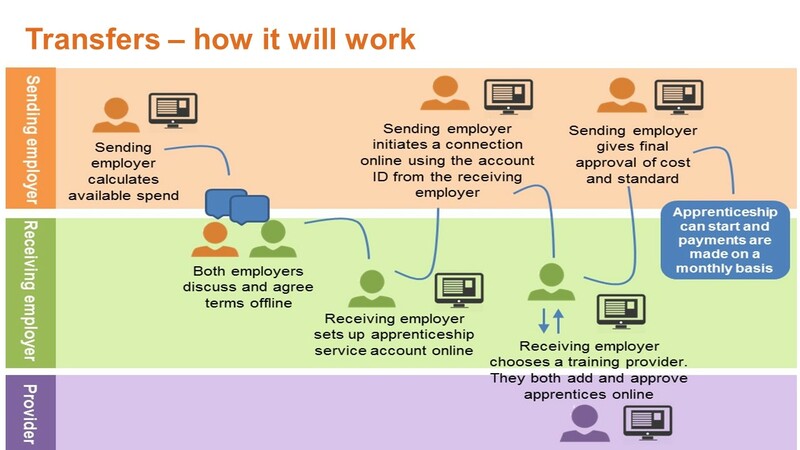 Before a transfer can be made, both employers must be registered on the apprenticeship service, where they can connect with each other. The sending employer initiates the process and the receiving employer confirms and adds the apprentice details. After this, funds are paid monthly for the duration of the apprenticeship.